With excitement growing around the launch of Freeview HD, you might be forgiven for wondering what's happened to Freesat. The upstart satellite service launched with a whirl of publicity last year, and for a (short) period looked a viable hi-def alternative to Sky. 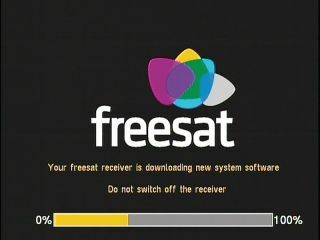 However, with no new HD channel announcements and a failure to deliver on interactive promises, Freesat has begun to look like yesterday's news. Despite that, the free-to-view service has been quietly racking up viewers. Freesat MD Emma Scott says that the service has now doubled its install base to 600,000 households over the past year. "To achieve this level of sales and viewing in such a short space of time is a fantastic achievement and testament to the ever-growing appeal of Freesat, both to consumers and broadcasters," she says. Scott also makes the point that it's taken BT nearly three years to reach 443,000 customers with its BT Vision PVR Freeview/VOD platform. "We've had a brilliant summer and are confident that we'll continue to report outstanding growth, especially in the run up to the World Cup." But can this growth spurt really continue? An introduction date for the BBC iPlayer remains AWOL, and the satellite service looks unlikely to evolve into a content-rich HD platform anytime soon.